Forty different graphics to choose from in this mixed vector pack. 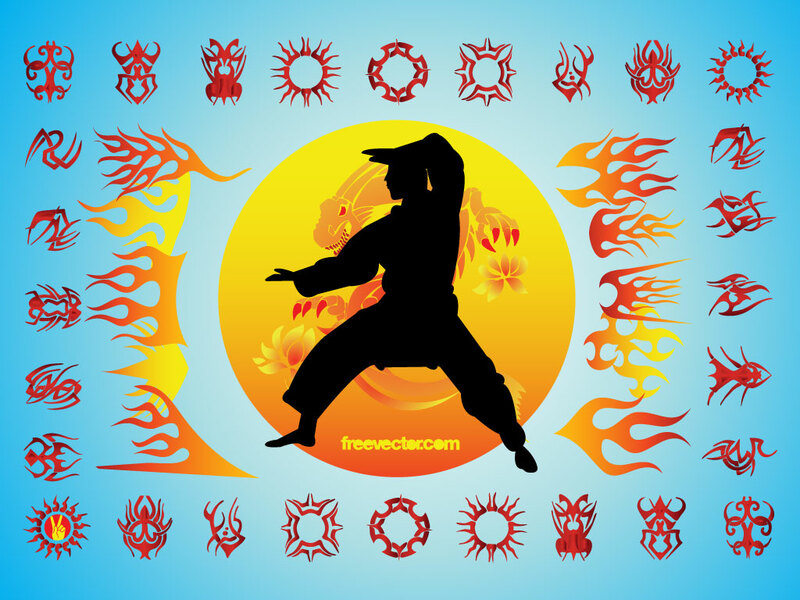 Cool tribal symbols, flames and a martial artist silhouette at the center. Great action and aggressive graphics for your edgy designs. Download as AI and PDF for your projects. Tags: Fire, Flames, Icons, Karate, Martial Arts, Silhouette, Symbols, Tattoo, Tribal.